Ava DuVernay celebrates a monumental moment in her career becoming the first woman of color to direct a $100 million film. Earlier this year, fans gushed over Ava DuVernay after Disney announced the Golden Globe-nominated film director as their directorial pick for its upcoming film, A Wrinkle in Time. Now, the California-bred film-mogul-in-the-making is spewing with excitement as she’s become the first woman of color to direct a $100 million dollar film. To celebrate the honor, DuVernay posted an empowering message on Instagram recognizing not just her achievements, but the world of women of color who were capable before her and those who will be capable long after. 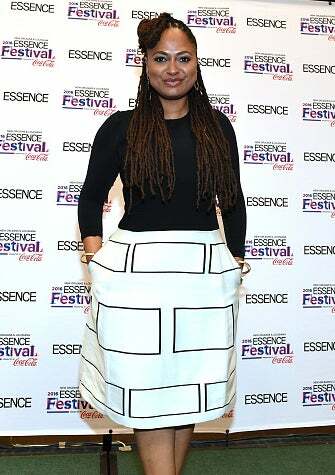 DuVernay’s name made waves in Tinseltown in 2014 when she directed the Oscar-winning film, Selma, in 2014. Currently working with Oprah Winfrey, her Hollywood sister in crime, on a number of projects including Queen Sugar and A Wrinkle in Time, it looks like we’ll be seeing a lot more of Ava DuVernay’s award-winning work for years to come.